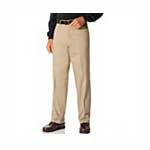 Dockers will be giving away free khakis to the first 2,010 entrants on 2/7/10 when you register after the “Men Without Pants” commercial airs during the Superbowl! Prizes will be awarded as a $30 gift code good at Dockers.com. first to register HERE and you could win a pair of men's Soft Khakis!